The Berlinale 2013 has ended last night. Over 400 screenings have been shown in around 50 theatres around Berlin. I am more than happy to be part of the show, not only as part of the Audience and watch exciting movies, but also as a technical provider for the E-Cinema software running in the technical backends of the presentations. See the blog entry about the technical documentation and how nanocosmos software is running in the E-Cinema playout here. Apart the competition there have been many separate sections running interesting movies from all around the world. 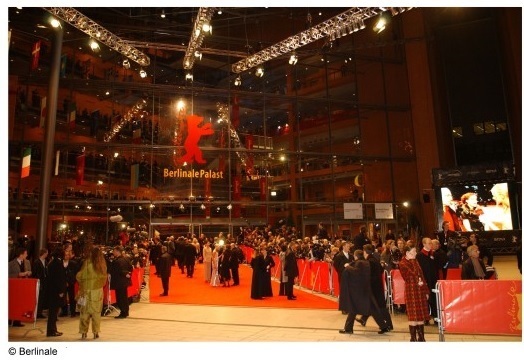 A very important business venue accompanying the Berlinale is the European Film Market, with more film screenings shown than in the actual festival. I was able to attend some screenings this year again and watch some impressive stories on movie screens. Last night I attended one of the last screenings this year, “Dark Blood“, the last film the great actor River Phoenix was starring. Sadly he died during the production 1993, and the unfinished movie was taken by an insurance company. 20 years later, the director George Sluizer finished the film as a fragment, “a chair with 3 legs, still able to stand”, as he says in his own words, spoken missing scenes from the off. This did not really hurt the impressing experience of this movie, a late Western settled in a native american desert area near the Nevada nuclear test site from the early 1950s. The movie was presented by director George Sluizer and main actor Jonathan Price at Berlinale 2013. Another impressive movie I have seen was a remaster of the 2nd 3D movie ever produced: “Dial M for Murder” by Alfred Hitchcock. The fact the Hitchcock was making 3D movies in his time may be unexpected to many readers. However, a few years in 1950s, 3D productions became popular, using the old-fashioned “red/green” color glasses, and so it disappeared again, as the visual quality was simply too low with These Systems. The production itself was in fact being done with a real 3D stereo setup, a camera rig with 2 cameras placed side-by-side and 2 film strips running in parallel. After 50 years, Warner bros. decided it is time to republish a digitial remaster. The resynced the original film strips, digitally remastered them, but did not add additional 3d effects. 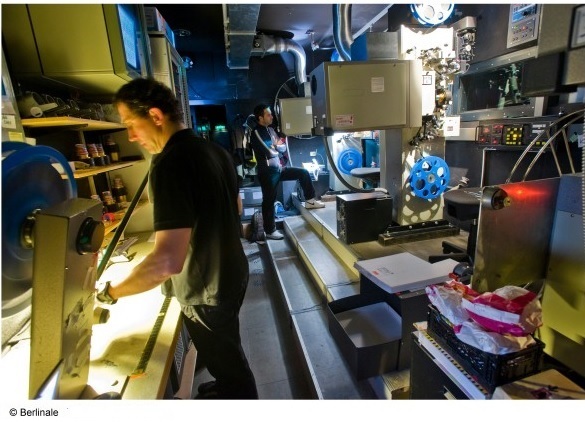 The result was screened in 4K at the Berliner Festspiele theater, in Dolby 3D, using the Wavelength Multiplex technique invented by the German company Infitec. One of my favorite sections of the Berlinale is “Generation” – devoted not only to children and young people. A very fine selection of films from all around the world is shown, with exciting storied being told. This year’s favorites: Nono the ZigZak kid, Eskil & Trinidad and Shopping. Looking forward to the festival 2014!